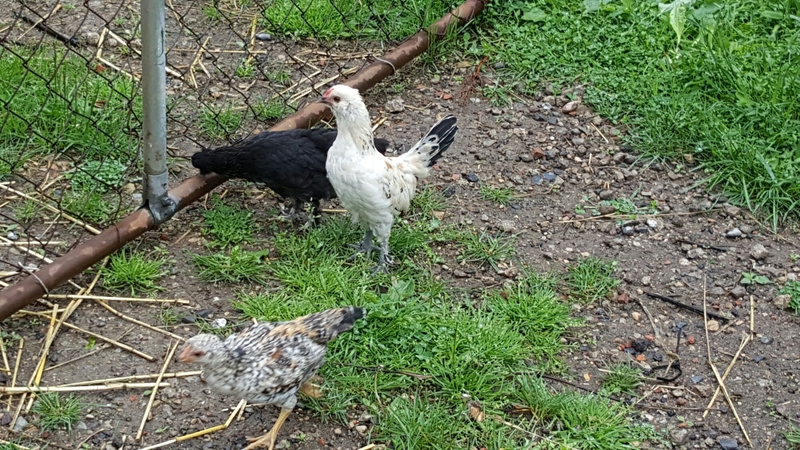 * The larger chickens have been terrorizing the younger silkies so I needed to get rid of them. Unfortunately, I believe that is how I lost the tan one earlier this week. 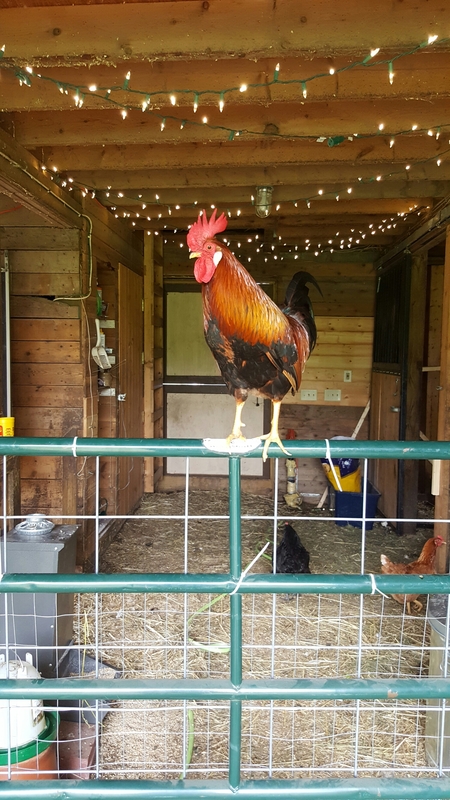 * One of my bantams has a bright crown and tall tail feathers. As of today he has also been crowing, since he is so small you really can’t hear anything yet. * The kids have continued to bother Ringo and lately he has been finding little ways to get back at them. Today he pecked at Sadie’s boot and back of the leg. I’ve told Dustin if Ringo gets out of control he will be stew. 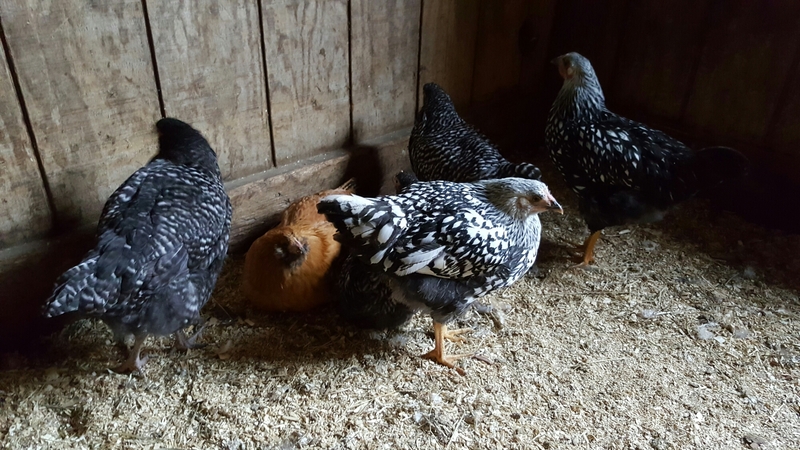 *The middle chicks are getting larger and will probably start laying in the next month. 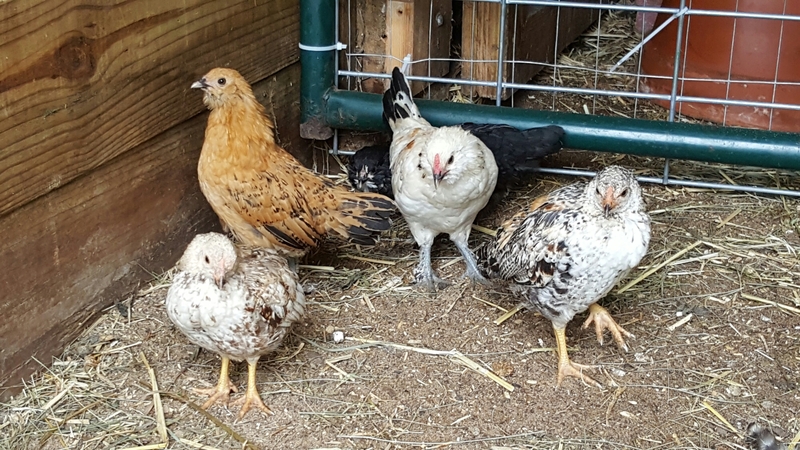 I figure they should get names now that I know they are hens. More details TBA. Finally, we have continued to tackle the garden which is turning out to be pretty cool. 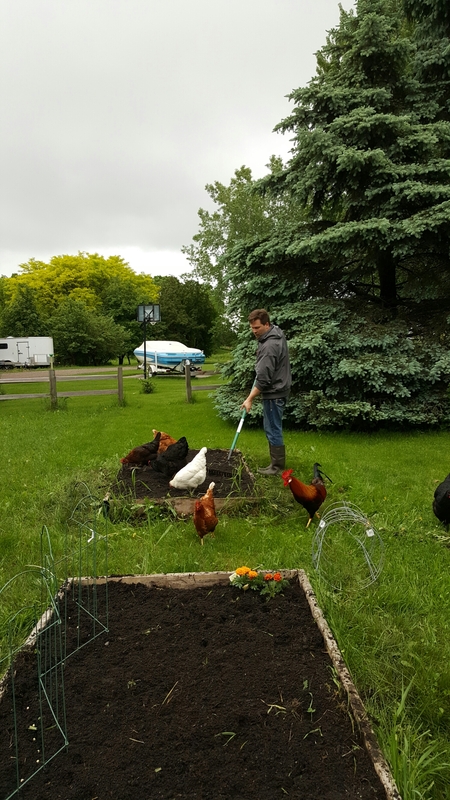 Tonight the girls helped Dustin clean out the last raised bed. I will post pictures of the larger garden tomorrow.